Apple has lagged behind in the virtual and augmented reality race so far. Their phones can be used for some low-end VR, via the Cardboard platform from Google, but they haven’t had anything of their own to match the higher-end Samsung Gear VR and Google Daydream View headsets. Its latest phones — iPhone X, iPhone 8, iPhone 8 Plus — support its new augmented reality platform ARKit. The phones have back camera sensors that can estimate lighting, object size and location, and scaling, much better than previously possible. The iPhone X also has facial tracking sensors on the front camera. Apple software and services could gain $9 billion in revenue by 2020 as a result of operations related to augmented reality because there will be about 3.6 billion Android phones with augmented reality capability according to a report by augmented and virtual reality research firm ARtillry. And according to IDC, augmented reality market will account for 10 percent of the 81.2 million units sold by 2019. There are already several augmented reality applications to try if you own devices that support ARKit. For instance, Ikea Place is an application by IKEA that uses ARKit. 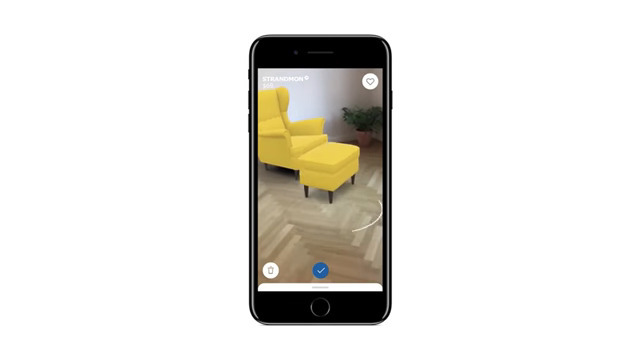 With it, you use augmented reality to virtually arrange and rearrange home furniture models onto your space, quickly and with much better precision positioning, before buying the furniture. The user snaps a photo of a real space, such as their living room, then inserts any item from IKEA marketplace onto the photo and rearranges as desired to see if it is the best fit. A user can place the objects with much better precision than is possible with augmented reality applications on previous platforms because the ARKit iPhones can better detect the location of the floor, walls and objects in the room. Home remodeling and design platform Houzz has also released an ARKit app, the company announced earlier this fall. The company already has 500,000 objects in its database that you can view, move and install to redesign your inner spaces. Scope AR also has its own AR application, Remote AR, which also supports ARKit. With Remote AR, users can seek and get remote assistance from mechanics on their machines and companies can remotely connect customers with mechanics and professional engineers to fix machines. Mechanics and professionals can also collaborate to fix machines. This is done by taking augmented reality images and adding annotations and 3D content. 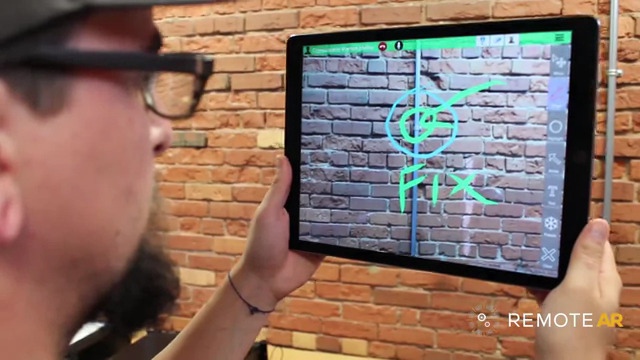 Users can also combine augmented reality with live video streaming, voice, 3D animation, screen sharing, white boarding and world-locked annotations. It works on Android, iOS, Windows and Tango. Applications developed with ARKit such as Scope AR are easy to use and users do not need any training and much time to understand how it works, which could increase adoption. Apple itself featured four AR applications in its annoucement. They include the upcoming competitive multiplayer game The Machines that lets users to duke with friends in augmented reality, Warhammer 40k: Free Blade that lets you take characters out of the game scene into your physical world and play it where you are standing, Major League Baseball – At Bat that lets you overlay real-time player info and stats on the game screen when watching a game in real time, and Sky Guide that lets you automatically find constellations in the sky just by pointing it to the sky. My Country, is also an iPhones and iPad city builder game that supports ARKit while Paint Space lets you paint and share your creations with friends. 8i’s Holo lets you place 3D holograms of renowned people and celebrities on your virtual spaces, move them around and interact with them, as well as create videos and photos to share with friends. It currently features characters like astronaut Buzz Aldrin, actor Jon Hamm, Spider-Man, Jerome Boateng, Harry Shum Jr. It supports iPhone 6S or later models. Blocker is an application that lets film creators augment film scenes by recording the world around them and place placing virtual objects to the scene. Creators can also simulate the sun by shooting its realistic shadows and color and adding the shot into the scene, and use 400 camera presets to adjust focal length and frame accurately when blocking out undesired scenes. Other applications include Stack AR, game app where the player taps on several blocks that drift to and from in order to stack them into a tower. Since the ARKit developer platform was announced on June, numerous developers are already working on interesting things that will leverage the tool on iOS 11 devices. The developer kit works on Unity, Unreal, and Scenekit engines. ARKit provides a straightforward and powerful API that is easy to use. It comes with basic tools needed for augmented reality toolkit such as access to a point cloud, the camera and additional reference anchors such as planes. Google’s recently announced ARCore development tool is similar to ARKit. It lets developers to easily build augmented reality experiences and applications for a wide variety of Android devices, without need for additional cameras and sensors. At launch, it had support for Google Pixel phones running Oreo and Samsung’s Galaxy S8 running at least 7.0 Nougat.